Despite the centralizing tendencies of the American national government in the twentieth century, there have been surprisingly few books defending the federal system. 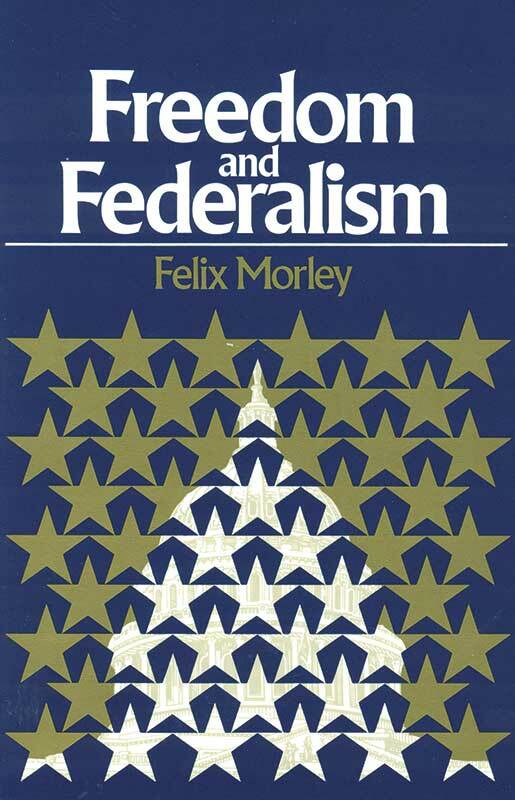 Felix Morley’s Freedom and Federalism, which examines the root causes of the problem, was thus a pioneering achievement when it first appeared in 1959. No less relevant today, the book provides a perceptive diagnosis of the collapse of States’ rights in modern America; and it seeks the restoration of a constitutional balance between central and state authorities. Is federalism worth saving? “Its outstanding virtue,” which is “the distinctively American contribution to political art,” argues Morley, “is its facility in combining two naturally antagonistic conditions—the social condition of order, and the more personal condition of freedom.” In the end, he concludes, the American government will fail unless these two conditions are reconciled. Felix Morley (1894–1982), Pulitzer-Prize-winning author, journalist, and educator, was a Rhodes Scholar, editor of the Washington Post and Human Events, and President of Haverford College.